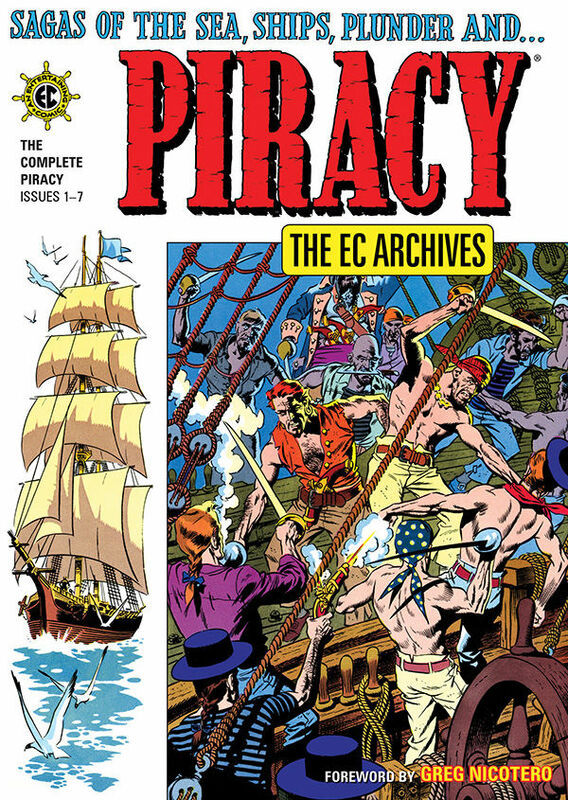 EXCLUSIVE Dark Horse Preview: The EC Archives: Piracy HC – AiPT! Collecting the complete run of the EC Comics cult classic Piracy. Collecting the complete run of the EC Comics cult classic Piracy; featuring stories about the violence and cruelty of the pirates that sailed the seven seas. Across these pages sail plunderers, pillagers, buccaneers, whalers, smugglers, pearl divers, treasure hunters, mutineers, and many more, in these brutal tales of life on the water. Piracy issues #1-#7 in full color! * Features stories drawn by all-star comic artists Wally Wood, Jack Davis, Al Williamson, Graham Ingels, Reed Crandall, Bernard Krigstein, George Evans, and more.